Wall: Perspective® (CSP-5), only available in Aura®. 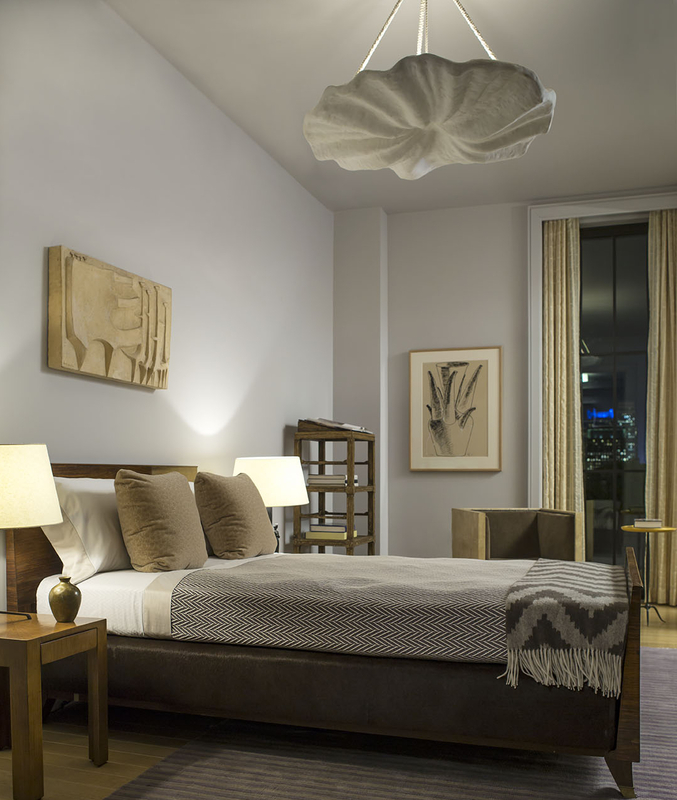 The art of creating a restful, calming scheme with neutrals is one of the holy grails of interior design. 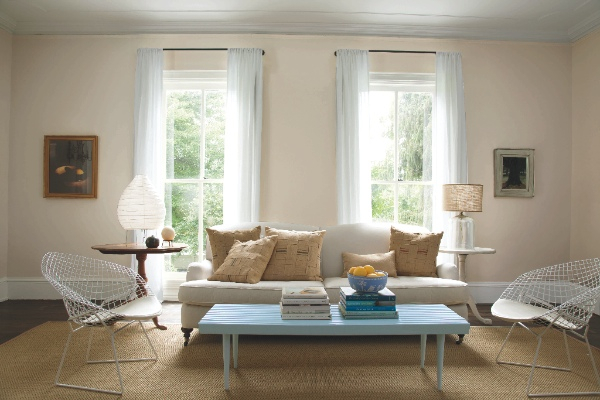 Designers often have a "go-to" palette of failsafe neutrals which they use to create inviting and atmospheric spaces. Knowing the undertones in their trusty palette helps to ensure they can seamlessly layer colours and textures across all their materials to create interesting and sophisticated schemes. 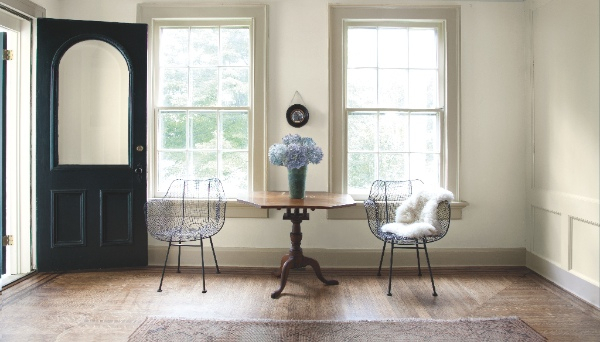 With a vast collection of subtly graded neutrals, Benjamin Moore enables you to create harmonious and uncomplicated schemes, whether you use those nuances as a foundation for the scheme in one room or to create a flow throughout your home. 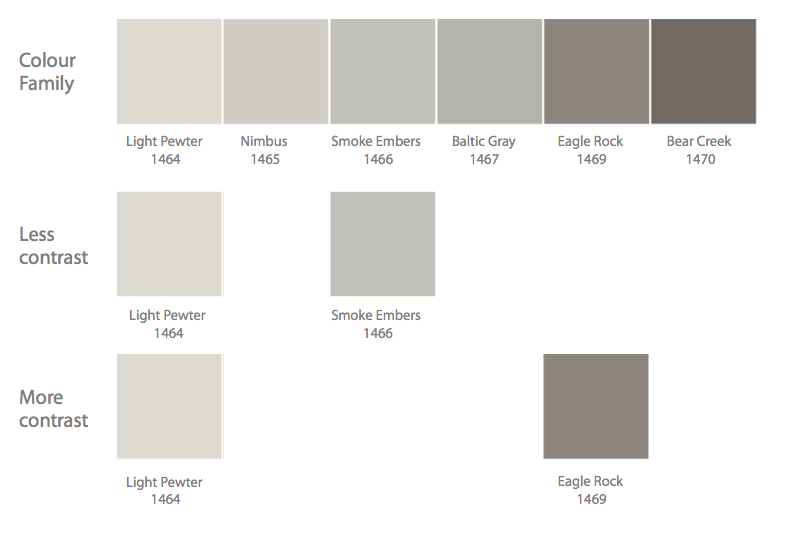 Our Neutrals palette spans warm, taupe toned colours like Smoke Embers (1466) and Willow Creek (1468), through to cool, true greys like Silver Half Dollar (2121-40) and Pewter (2121-30). 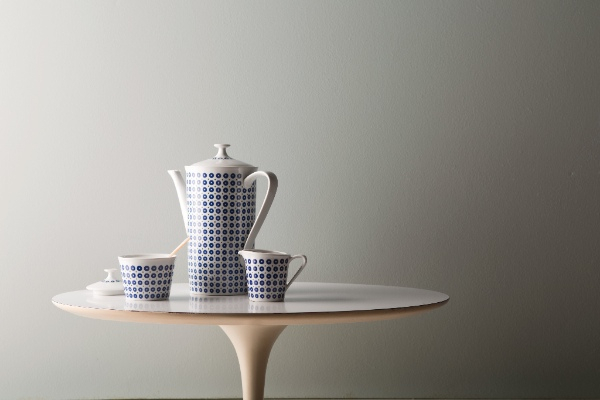 For a look that is really subtle and soft, layer colours from the same family. Whenever you search for a colour on our website, underneath the on-screen colour swatch, you will see a "more shades" section. 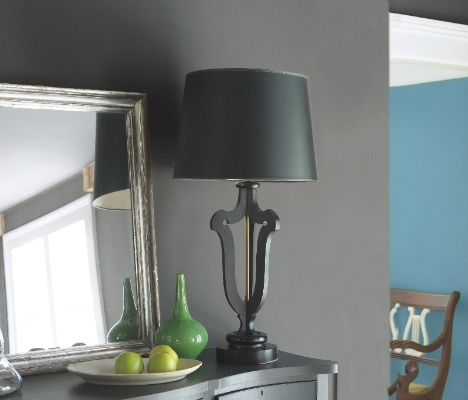 These shades are always taken from the same colour family, so you can pick any shade from this collection of 7 colours and be assured that the undertones will be perfectly matched and it will create a fail-safe, harmonious scheme. The greater the contrast between colours within the same family, the more dramatic the scheme will be. Alternatively, a timeless off-white shade on the walls can be beautifully framed by a soft, stony neutral hue on the skirting boards and window frames, adding character but not overpowering the space. 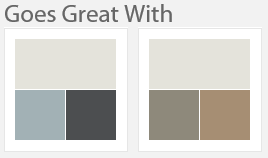 Another useful tool on benjaminmoorepaint.co.uk is the "goes great with" recommendation that accompanies every colour. These colour combinations have been created by our expert Colour and Design team. The combinations for our neutrals often include a gorgeous off-white and also a complementary accent colour, that can be used to guide your selection of accessories. Again, these colour combinations are tonally matched, ensuring the undertones blend perfectly to create a gorgeous, harmonious scheme. Not only will the ideal neutral palette create a balanced and comforting scheme, it will also set the scene for how you want to furnish and complete each room. 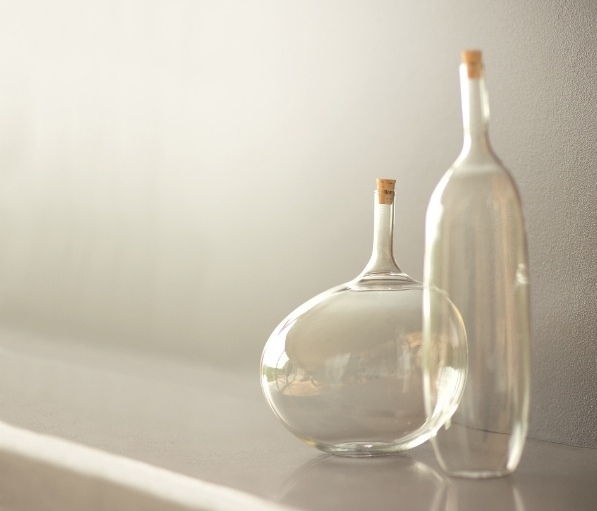 A neutral base allows you to be as adventurous as you like with your furnishings and is great for those looking to add brighter coloured furniture and accessories to a room.